We offer quality used caravans for sale as well as a full caravan repair service. We also provide a range of caravan accessories in our caravan accessories and parts shop. With a wide range of used tourers from renowned brands such as Bailey, Lunar, Sterling, Swift and Sprite and choices of 2, 4, 5 and 6 berth used caravans, we have the right second hand caravan for you at fantastic value for money. Buying a used second hand caravan from the Coast Caravans Ltd is safe and reliable as every 'quality used' touring caravan is fully checked and certificated by one of our engineers before it leaves our premises. 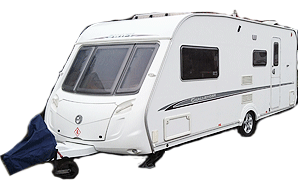 Coast Caravans Ltd also provide a range of accessories and parts in our on site shop.